This Hillside Home lends itself to a sloping lot with great New England views. A Timber framed entry porch leads you into this Mountain style house. 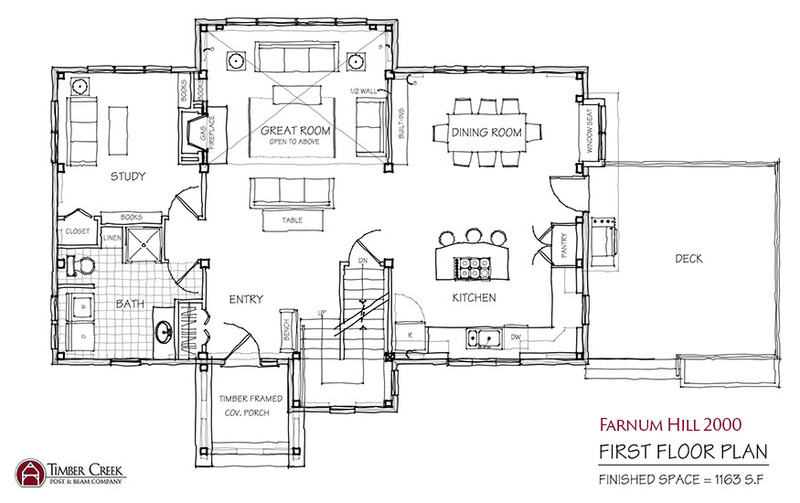 Once inside an open floor plan provides a spacious feeling in this compact design. The Cathedral Great Room with gas fireplace furthers the openconcept. A separate Study provides a private area to get away. The shared second floor loft overlooks the Great Room below and divides the two sleeping areas. One wing has two bedrooms with a shared bath. 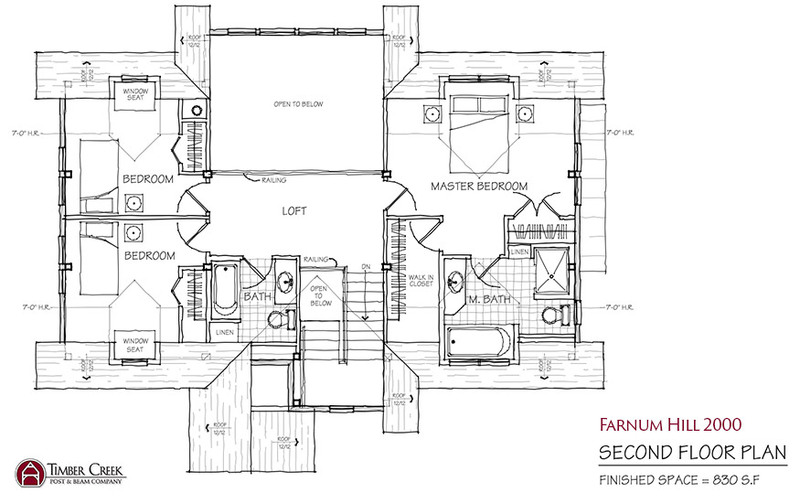 The other wing is the Master Suite, with a walk-in closet, master bath with whirlpool tub and 4 foot shower.